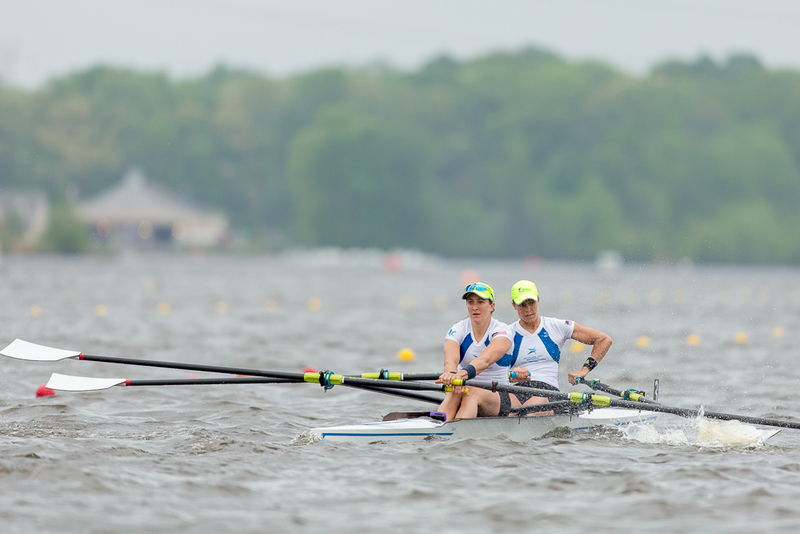 Last weekend concluded the 2014 series of USRowing National Selection Regattas (NSR) I and II. 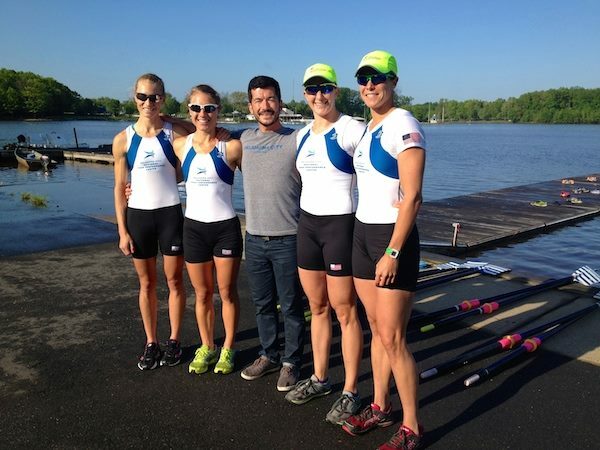 Held on Mercer Lake in Princeton, New Jersey, the NSRs provide opportunities for athletes to take the first step toward making the United States National Senior Team. 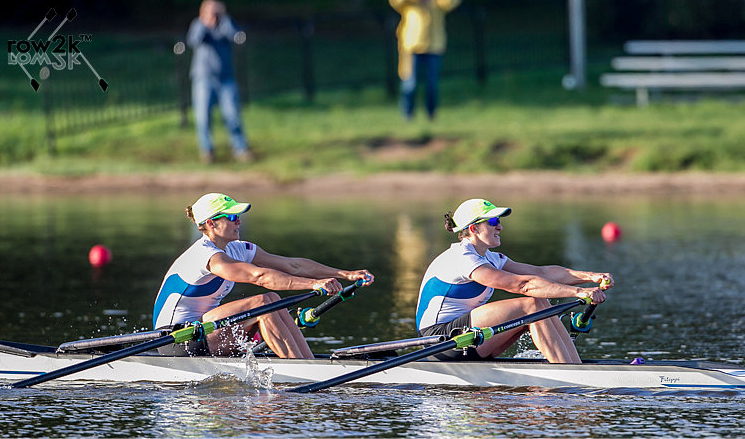 The winning women’s and men’s crews of the pair, single, double sculls and lightweight double sculls are awarded the opportunity to compete at World Cup 2 or 3 to then qualify for the World Championships (and thereby solidify their spots on the National Team). The NSRs are also formatted as a step toward entrance into or ranking for big boat camp selection for the men’s eight and four; and the women’s eight, quadruple sculls, and four. For my double partner, Ellen and me, the goal for NSR II was to win each race: take the fastest time in the time trial, win our semifinal, and of course, take home the all important win in the final. We were rested and healthy. Our race preparation pieces leading into the week had been solid, and the boat was moving well. We felt good. All that was left to to do was to execute. The 1900-meter time trial on Thursday morning went off accordingly and we posted the fastest time (6:49.67) by nearly four seconds. The weather the following day for the semifinals was absolutely horrendous. In conditions like that, anything can happen. We fought our way down the course in an 18-mph crosswind with gusts up to 30-mph, survived a few diggers and one boat-stopping crab (by yours truly), but managed to finish comfortably ahead of the field in first place. The winning crew of the other semifinal, Stesha Carle and Gevvie Stone (SoCal Scullers/Cambridge Boat Club) had posted a faster time than us by just under two seconds. The morning of the final, the weather had thankfully calmed down and we arrived at the course to find a serene sunrise over flat water with the faintest puff of a breeze. The racing would be fair and fast. You can’t ask for a better finals day than that. Ellen and I won in a time of 6:54.47, nearly five seconds ahead of the next crew of Carle and Stone in second (6:59.20), followed by Lindsay Meyer and Nicole Ritchie (Seattle Rowing Club/Vesper Boat Club) in third (7:00.81). In a few weeks, Ellen and I will travel to Aiguebelette, France to compete at World Cup 2 to try and qualify for the World Championships taking place later this summer in Amsterdam. Congratulations to all of the crews who punched their tickets to a World Cup last week. Step one of many more to come. Back to work to go fast and represent Team USA. You rock! Love following your journey! Peyton will be at Lake Mercer this weekend so it’s fun to see it in your photos – but scary to see those waves! 🙂 Good luck you to you and Ellen! Thanks Chris! Yes, the waves were a bit fierce that day. We are excited about upcoming summer racing season. Headed to France in a week for World Cup 2! So awesome Meghan!! So happy for you!! Congratulations!!!!! Thanks Mike! Great to hear from you. Headed to World Cup 2 in France in a week! Hope you’re well. Well done to both of you for a result after a solid winter of work. Love the photos – especially the sinewy calf muscles! Enjoy “Egg-Baguette” It’s a beautiful lake. Thanks Rebecca! Looking forward to racing at World Cup 2 in France.